Terry Gilliam is well known for tackling heady concepts and big ideas in his films. In fact, he's downright notorious for his elaborate and sometimes troubled productions. But with his latest effort, 'The Zero Theorem,' the director takes on his most ambitious material yet: the very meaning of life itself. Bold and imaginative, the movie is overflowing with fascinating philosophy and wonderfully bizarre visuals. Sadly, it's also kind of muddled, unfulfilled, and inherently confusing. While viewers might not get any closer to understanding the vast mysteries of the universe by the time the credits roll, the experience is still packed with many of the striking elements that always make Gilliam's visions so unique… and maddening. Set in a strange future landscape, the story focuses on a reclusive programmer named Qohen Leth (Christoph Waltz). 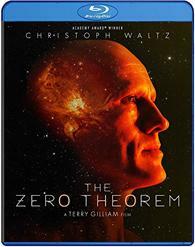 When Qohen is charged by Management (Matt Damon) to decipher an impossibly complex, universe-unraveling equation called "The Zero Theorem," the already fragile man begins to lose his mind. But a seemingly chance meeting with a beautiful woman, Bainsley (Mélanie Thierry), and an evolving friendship with his young assistant, Bob (Lucas Hedges), could bring new purpose to his life… or just tear apart any shred of stability he has left. With the very meaning of existence on the line, Qohen embarks on a techno-existential journey of enlightenment and potential self-destruction. Everything adds up to nothing. That's the central philosophical and scientific conceit that Qohen is charged with proving -- but this concept could be equally applied to the film itself. Gilliam and screenwriter Pat Rushin have layered the satirical narrative with a cornucopia of engaging ideas and esoteric questions, probing deep matters of humanity, friendship, love, and isolation. The very nature of happiness and fulfillment are examined through the increasingly strange plot, and these deep themes do lead to some genuinely thought provoking and affecting sequences. With that said, they also lead to many comparatively perplexing stretches, and the jumbled high concept elements don't always come together well. In other words, there are times when everything adds up to nothing. Of course, this inherently unknowable quality is probably at least partially deliberate. After all, how could a movie about the mysteries of the universe really provide concrete answers? Instead, what we get is much more ambiguous. And while that's certainly not a bad thing, a little extra cohesion in the narrative could have helped give the climax more of an impact. As it stands, the story kind of goes in circles, explanations are few and far between, and certain dramatic beats aren't developed enough, making some revelations fall flat. Thankfully, though the plot might not fully come together, the movie's madcap cinematic style does offer an absolute feast for the senses. The filmmakers create an appropriately weird future setting filled with candy-colored mania and an almost otherworldly eccentricity, serving as a more brightly painted sibling to the director's earlier sci-fi satire, 'Brazil.' Wide lenses and distorted angles (a Gilliam trademark) mark a skewed perspective, while idiosyncratic costume designs and strange, complex machinery all help to break audiences free from reality. And while computers and virtual worlds play a large part in the story, Gilliam offers a comparatively stripped down and dirty design aesthetic that resists the clean and modern look of many other science fiction offerings. This nearly overwhelming saturation of technology, noise, and commerce is then perfectly juxtaposed against Qohen's isolated existence, holed up alone in a dark and cold abandoned church, seeking sanctuary from the pressures of the outside world -- and Gilliam's own stylistic flourishes. Awkward, anti-social, anxious, withdrawn, and completely bald, Qohen Leth proves to be a rather unique protagonist. Even in a sea of flashier characters, the troubled man manages to spark interest, and Christoph Waltz does a nice job of gradually revealing his deeper insecurities and desires as the runtime goes on. At first, the actor seems almost out of place and uncomfortable in the role, but this unsettled quality is actual paramount to Qohen's characterization. Through his evolving relationships with Bainsley and Bob, the filmmakers illuminate what truly matters in life, bringing a solid emotional center to the film's revolving esoteric madness. On the one hand, 'The Zero Theorem' presents a refreshing return to form for Terry Gilliam, offering his most daring and inventive material in quite some time. On the other hand, that return to form isn't as fully realized as it could be, leading to a jumbled experience that nearly squanders some captivating ideas and striking visuals on a vague and muddled plot. Loneliness, paranoia, corporate control, love, and our ever elusive quest for purpose all come together to form a complex formula, but these ostensibly profound thoughts don't always amount to much. Those looking for easy answers will likely be unsatisfied, but for those open to lingering questions and ponderous storytelling, this is one cinematic equation that is still worth trying to solve. Well Go USA brings 'The Zero Theorem' to Blu-ray on a single BD-50 disc that comes housed in a keepcase with a cardboard slipcover. After some skippable trailers, the disc transitions to a traditional menu screen. The packaging indicates the release is region A coded. The movie is provided with a 1080p/AVC MPEG-4 transfer in the 1.85:1 aspect ratio. At times radically uneven, this is one of the most manic transfers that I've come across in quite some time, offering an occasionally impressive and occasionally lacking image. The 35mm source print is in good shape and retains a moderate to heavy layer of grain in most scenes (a few virtual reality sequences offer an intentionally clean look). With that said, the grain can appear a tad digital and noisy in appearance in certain shots. Overall clarity is good, revealing a solid level of fine texture in the movie's bizarre production designs, costumes, and sets. Detail, depth, and color can vary wildly from scene to scene, however, and though a lot of this manic style is intentional, it makes the picture inherently uneven. Sometimes blinding whites and oversaturated primaries pop enthusiastically from the screen fully bringing Gilliam's grungy but colorful world to life. On the other hand, seuquences like the opening scene set in Qohen's dark church are almost oppressively drab, dirty, and flat with sickly colors and washed out, milky contrast. Likewise, there are some sporadic signs of compression, including minor banding. 'The Zero Theorem' features a distinct style that wavers between colorful excess and ugly dullness. And while most of these inconsistencies are simply inherent to the director's chosen aesthetic and budgetary limitations, there are some digital artifacts here and there. The film is presented with an English DTS-HD MA 5.1 track along with English SDH subtitles. Unlike the video, there is nothing uneven about this mix. Instead, the audio offers an immersive and fully engaging experience through and through. Dialogue is clear and well prioritized throughout with no balance issues. The sound design creates a living, breathing futuristic world bustling with layers of activity, lively directionality, and effective surround sound presence. The film's central church location is also given an especially moody and delicate atmosphere full of aural texture. Electronic effects, scurrying rats, an oppressive ringing telephone, and other ambient effects engender a palpable sense of place. Dynamic range is also wide and distortion free, and low frequencies kick in nicely when called for, including a booming party scene. Enveloping and convincing, the track helps to immerse audiences in Gilliam's unique world through impressive sound design choices. Well Go USA has put together a solid collection of supplements, including several featurettes. All of the special features are presented in 1080p with LPCM 2.0 audio and no subtitle options. While there is no designated "play all" button, the supplements will continue to play one after another when selected. Behind the Scenes (HD, 18 min) – This is an informative featurette with cast & crew interviews and on-set footage. The participants discuss casting, the cryptic story, characters, themes, and costumes. Likewise, there is a lot of mutual praise thrown around and some solid insights from the film's first time screenwriter, Pat Rushin, who is a writing professor at my own alma mater, the University of Central Florida. The Visual Effects (HD, 7 min) – Here the focus is on the film's VFX work. Participants elaborate on their approach to the visuals, including the decision to film computer screen images on-set rather than add them in post-production. The Costumes (HD, 28 min) – This is a more comprehensive examination of the movie's costume designs, revealing the director's collaborative relationship with the costume designer, Carlo Poggioli. Poggioli discusses his influences and costume materials while showing off sketches and addressing how he managed to work with a limited budget. The Sets (HD, 18 min) – The final featurette offers more information about the movie's sets. We get details on shooting in Romania, dressing locations, and the construction of the main church set. Trailer (HD, 2 min) – The film's trailer is included with Dolby Digital 5.1 sound. 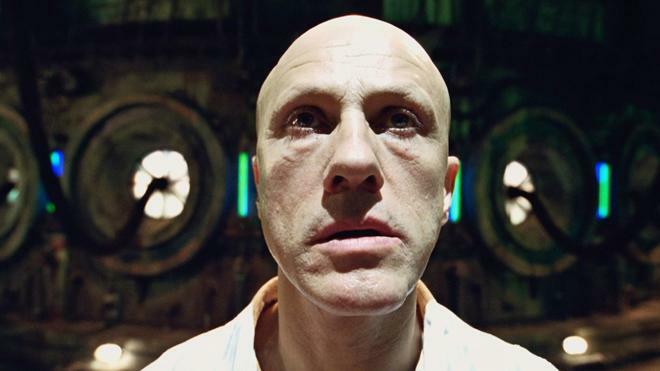 Terry Gilliam's 'The Zero Theorem' is packed with interesting ideas and imaginative visuals. Unfortunately, these impressive aspects never add up to a cohesive whole. The video transfer is uneven yet mostly reflective of the director's chosen style, and the audio mix is fantastic. A few informative featurettes round out the package with some solid insights into the production. This might not be one of Gilliam's best efforts, but it is his most ambitious film yet, and this disc is definitely worth a look.